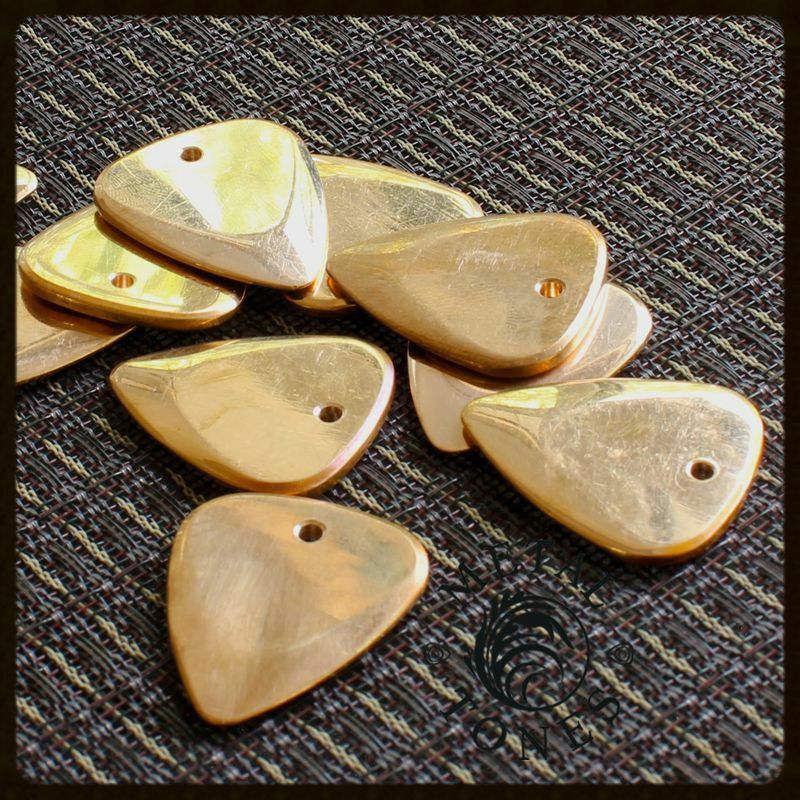 Bronze is one of the most commonly used metal for musical instruments. It is often used for the outer windings of Guitar strings and most professional quality Cymbals are also made from Bronze. 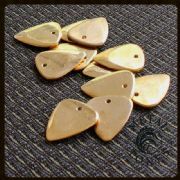 It is a mid hardness and mid weight metal and has a crisp powerful lower register and clear, bell-like treble register. 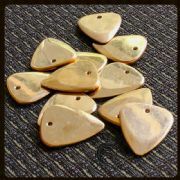 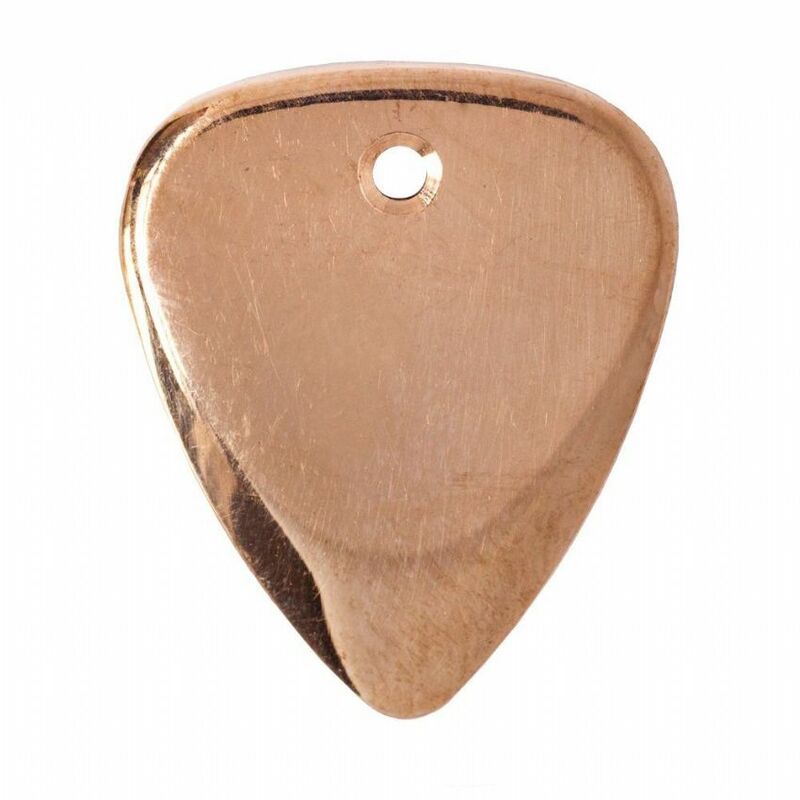 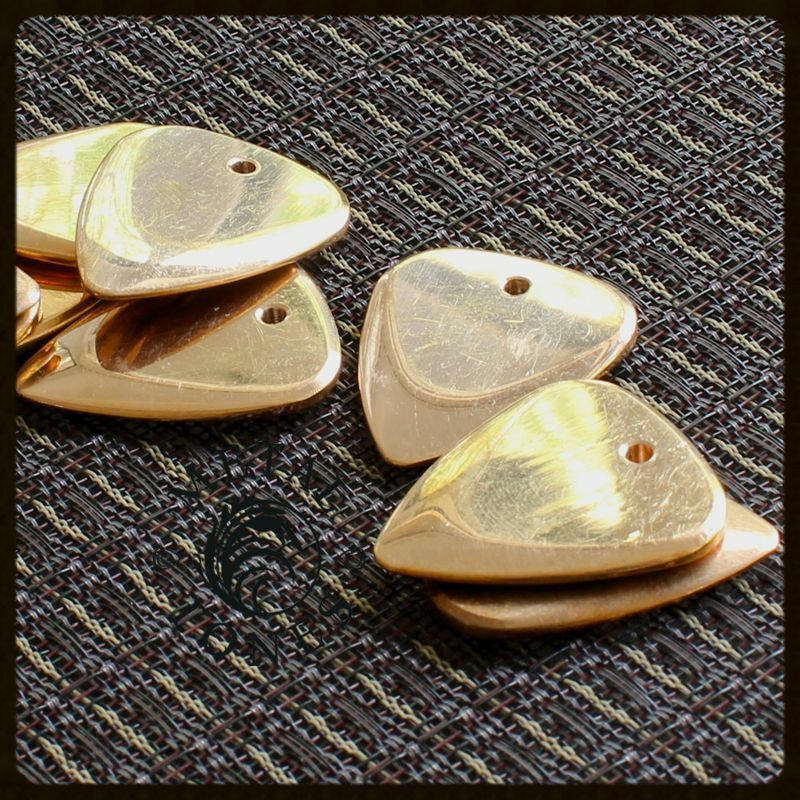 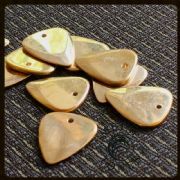 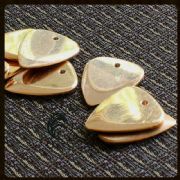 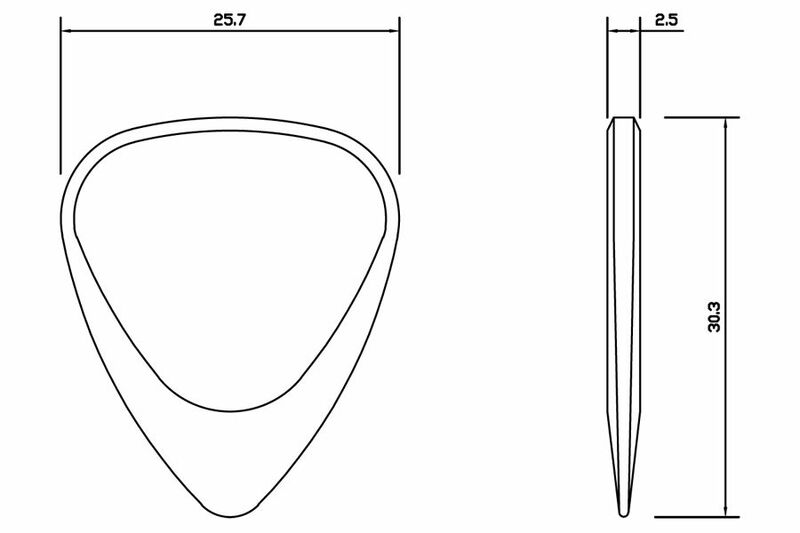 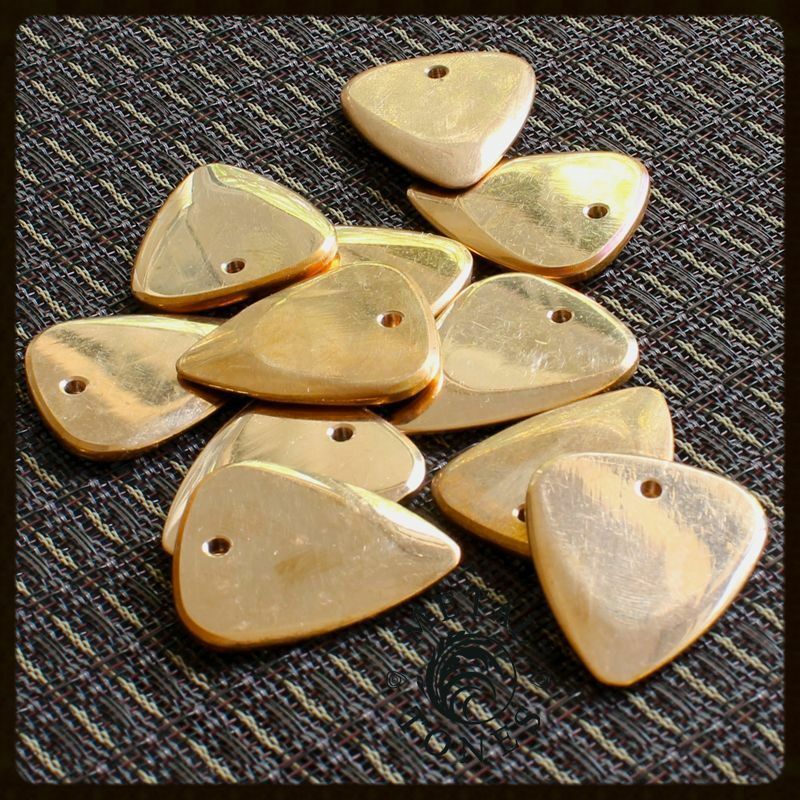 This pack contains 1 Bronze Metal Tones Guitar Pick.